Customer reviews play an important role in the success or failure of a business. Just think, before you try out a new product or service, don’t you usually go online to read the reviews and see what kind of experiences other customers have had? In addition to boosting your online reputation, reviews can also be used to boost your visibility and authority online. 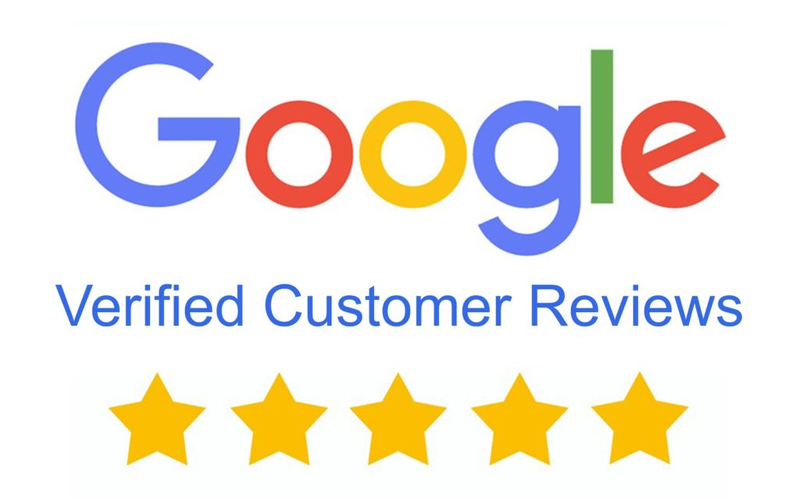 Google has always been a great place to look for reviews; their trusted stores feature contains a lot of helpful insights and information about a wide variety of popular businesses. That being said, they recently decided to do away with trusted stores in favor of a new type of review: verified customer reviews. Now it’s up to businesses to learn the difference between the two as well as how to optimize this new feature in their favor. Below I’ll explain more about what verified reviews are as well as suggest some ways businesses can use them to come out on top of the competition. What is a verified customer review? A verified customer review is a review a customer can leave after making a purchase from a company’s website. It differs from a typical Google review in that in order to leave one, a customer MUST make an online purchase, so the business being reviewed is required to have an online store. Traditional Google reviews could be left about anything (an online purchase, an in-store purchase, a customer service experience, etc.) and they could also essentially be written by anyone, even though Google discourages fake reviews. There is no way to verify that the person leaving the review actually made a purchase. These types of reviews are not going away, but because of their flaws it was necessary for Google to introduce a more reliable way to leave feedback. Verified reviews stand out in the way they are obtained; after a customer makes an online purchase, they’ll be sent an email with a link asking them to leave a review. If they haven’t made a purchase, they won’t receive an email and they won’t be able leave feedback. This is great for other customers who now have a trustworthy way to determine whether a business is worth pursuing; they don’t have to try and guess if a review is authentic or not. That being said, it’s going to require some extra work on the part of entrepreneurs. You have to set up verified reviews, and then it will take some time to build up a positive reputation. Thankfully there are some things you can do to enhance your chances of coming out on top. The following steps come straight from the Google Blog and explain exactly how you can enable customer reviews. Sign in to your Merchant Center account (or sign up if you do not have an account). Select “Merchant Center programs” from the dropdown in the upper right-hand corner. Click “Get Started” in the Google Customer Reviews card and accept the Program Agreement. Add the survey opt-in code to your website. Optional: Add the badge code to your site wherever you want. This will make the badge appear on your site, allowing you to display your seller rating and show customers that you’re integrated with Google Customer Reviews. The key here is to remember that you have to opt-in for this feature; you won’t automatically start receiving verified reviews. Thankfully, it’s free, and if you follow the few simple steps listed above, you’re bound to start getting reviews in no time. That being said, because verified reviews are a relatively new feature, not much is known on exactly how to best optimize them in your favor. The essence of them is that they’re left by true online customers, so we’re going to focus on how you can collect as many positive reviews as possible. Unfortunately it’s often the customers who have bad experiences who are most likely to leave a review; most people can’t be bothered to take the time to write about a positive experience. This may change if you offer some kind of incentive for leaving a review (you can’t specify that it has to be a positive one, but most likely it will be if you run an incentive program). Include information about the incentive in your company newsletter, post about it on social media, and advertise it on your website. You can offer something like free shipping or a percentage off their next purchase for taking the time to leave a verified review; people love free stuff, and it might just be enough to encourage them to take the extra few minutes to follow the link and leave the review. It never hurts to ask! Google is already making it incredibly easy to leave a review by automatically emailing a link to customers, but there’s no reason why you can’t take it a step further and follow up their email with your own. Just because Google is asking them to leave a review doesn’t mean they’re going to do it. Customers will appreciate a more personalized email from you explaining why reviews are important to small businesses and how much you would appreciate them reviewing the product they just purchased, as well as your business overall. If you don’t want to send an email you can also follow up with a phone call if you have that information. It’s much easier to say no to a computer than it is to a human, and many people are receptive to the idea of helping a small business succeed. Throw in an incentive for leaving a review and you’re golden! It’s not enough to just ask people to leave a review; you also need to respond after they’ve done so. If they leave a positive review, reach out and thank them for taking the time to do so. If they leave a negative one, it’s even more imperative that you respond and try to rectify the situation. Find out exactly what they’re unhappy about and try to make it right. Even if you can’t satisfy that particular customer, other patrons will see that you’ve taken the time to address the concern and try to fix the issue and they’ll appreciate that. One or two bad reviews don’t necessarily have to ruin your reputation as long as you handle them appropriately. For more out-of-the-box ideas on obtaining good customer reviews, check out this article from HigherVisibility. Regardless of how you get them, reviews are essential for business success and we recommend that you take the extra time to cultivate relationships with your customers so that they’re motivated to leave positive feedback. Now that verified customer reviews have been introduced, we foresee Google reviews holding even more weight with customers, so it’s important that you collect positive ones for your business. Have you opted in to verified customer reviews yet? Do you have any ideas on how you can use them to come out on top? Comment in the section below!